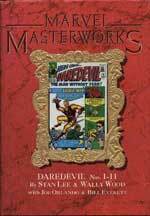 Here is a listing of hardcover collections of Daredevil material. Any additions, please let me know. 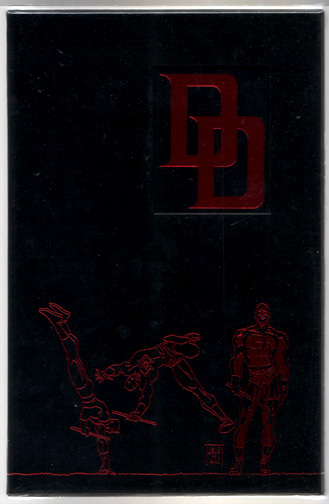 Thanks to Mike Baikie for the scans of the DD: MWF hardcover. Vol. 8 coming in 2014. 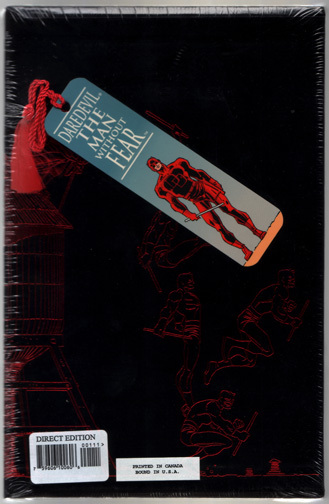 Reprints Peter Parker, The Spectacular Spider-Man #27-28, DD#219, 226-233, DD: Man Without Fear #1-5 and DD: Love and War. Reprints DD (II) #61-81, Ultimate Marvel Team-Up #6-8 and What If Karen Page Had Lived? 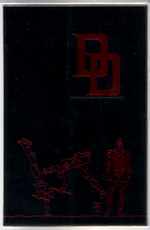 Reprints DD (II) #76-81, #16-19, What If Karen Page Had Lived? Reprints limited series by Miller/Romita Jr.
Reprints ELEKTRA: ASSASSIN #1-8, ELEKTRA LIVES AGAIN, BIZARRE ADVENTURES #28 and WHAT IF? #35.